Carpeting is elegant looking and adds ambiance and flair to any room in your home, but it can easily get grimy and dirty. Plus, it can easily get smelly and stained from many sources that include spilled food and drinks, muddy shoes, stinky feet and from pet accidents. Debris, filth and food crumbs can also become deeply embedded in the fibers of your carpets. Normal vacuuming will remove surface dirt and crumbs, but it will not remove hidden dirt and debris from the fibers of your carpeting. To get your carpets thoroughly clean, contact our reliable and established carpet cleaning Chandler, AZ company today for a consultation. Our team is very efficient and will safely and effectively clean the carpeting in your home and will do a professional job cleaning your carpets. The professional grade equipment and tools used are powerful and will deeply penetrate the fibers of your carpeting to remove grime, filth and debris. Plus, the crew will use spot removers and fresh deodorizers to safely get rid of stubborn stains and musty odors. We guarantee that our equipment will not rip, snag, tear or pull your carpet fibers. Plus, the cleaning solutions used will not bleach fade or discolor your carpeting. When our efficient and skilled team completes the job, your carpeting will be spotless and will look as close to new as it can be and will smell fresh and clean. If the carpeting in your house is dirty and grimy and has strong odors and has stains that will not go away, contact our reputable and trustworthy carpet cleaning Chandler, AZ company today to make an appointment. 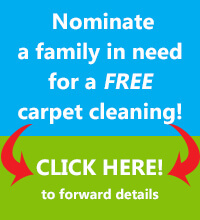 Our team will do a great job cleaning the carpeting in your house.